We had our annual family reunion (my dad's side) over the weekend. And I needed to figure out what food item to take when I decided to do a little experimenting. Now I love my Babycakes appliances and I know I'm not utilizing them to their full potential....it's on my mental list of things to do more of! So this wasn't a big experiment but one none the less. I had a Chocolate Pound Cake mix that had been given to me as a gift that really needed to be used. So busted out the Babycakes Cupcake maker and got started. I wasn't for sure how a pound cake would turn out in mini cupcake form but I was pleasantly surprised! Not too bad! Then I just wanted a simple glaze to top them. Well this is where it gets a bit more hairy. Now if you like cupcakes as much as I do then let me tell you what I stumbled upon! 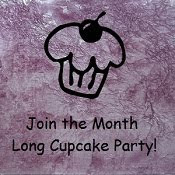 It's a month long linky party dedicated to the cupcake!! What a fun idea!! Screaming Sardine is the genius behind this and one of the hosts! 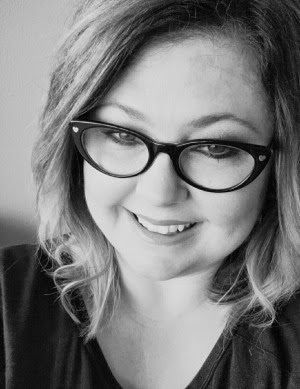 I'm joining the fun!! You should too! Yum! I've been wanting to try out the Babycakes Cupcake Maker - it's just so cute! Cupcakes are my FAV! Your pound cake cupcakes sound scrumptious! I can just imagine you nephew sneaking around the table grabbing cupcakes!